We've found another musical prodigy, and this time he's KZN-based. Fridays should be known as 'Talent Fridays' on the East Coast Breakfast. Just this morning we came across a video of an 11-year-old DJ who blew our minds with her talent, and now we've come across a local youngster who has a passion for all things music, and Calum Scott of course. The video couldn't have come at a perfect time since we just had Calum Scott in studio on Friday morning. It was such a blast! When asked about his son's guitar-playing skills, Amith added that Tashiv is self-taught and has only been playing the guitar for a few months. "Tashiv always sings at home. He is self-taught and loves listening to ECR. Alongside artists such as Calum Scott, Tashiv loves playing songs by James Arthur, and can you believe it, he's only been playing for five months," said Amith. The dad also said that he is very popular in school, and always has a crowd around him whenever he plays. Amith also said that while he aims is to be an astrophysicist, Tashiv's hopes to one day become big in the music industry. "Playing music is a hobby of his. He would love to enter a music competition soon to show off his talent, but one day he wants to become an online sensation and even showcase his talent to the world on YouTube, but also fulfiling his dreams of becoming an astrophysicist" he added. We can't stop watching the video and were blown away by his talent and love for music. It's incredible to see talent at such a young age. Keep making KZN proud, Tashiv! 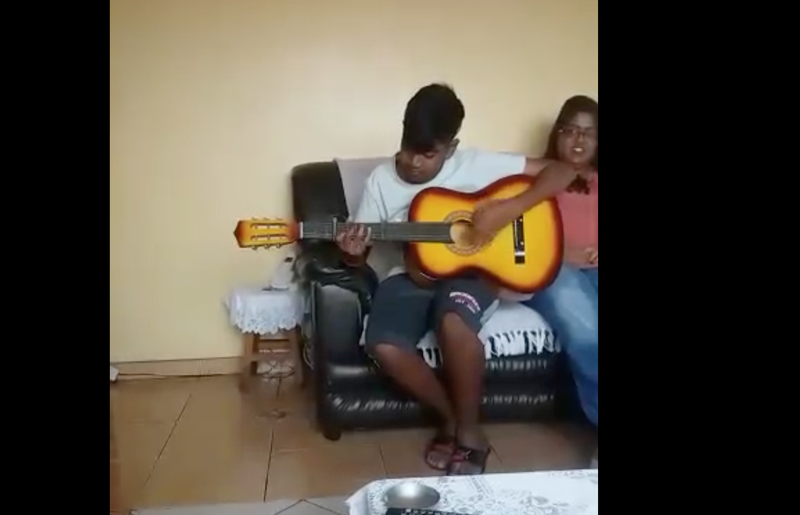 WATCH: This 12-year-old boy from #KZN has stolen our heart with his epic @calumscott 'You Are The Reason' guitar rendtion.